National Science Foundation grant is helping a historically black college enhance course offerings with cloud computing capabilities. NSF EAGER grant funds cloud computing to aid minority serving institution. Cloud computing enhances remote sensing graduate course curriculum. Broadening access to national HPC infrastructure makes the US more competitive and speeds discovery. You’re familiar with the many scientific discoveries the US National Science Foundation (NSF) makes possible. But were you aware of their role in bringing students at minority-serving institutions (MSIs) into the scientific community? That’s the message Linda Hayden wants you to hear. Hayden, professor in math and computer science at Elizabeth City State University (ECSU), is partnering with the NSF to enhance course offerings with cloud computing capabilities. ECSU is the recipient of an Early Concept Grants for Exploratory Research (EAGER) grant. It is being used to develop an online curriculum, tutorials, and other electronic resources. Bolstering graduate courses that analyze remotely sensed data is a particular focus for ECSU. To ensure the success of this project, ECSU is working with Judy Qiu, computer science professor at Indiana University and the Association of Computer/Information Sciences and Engineering Departments at Minority Institutions (ADMI). 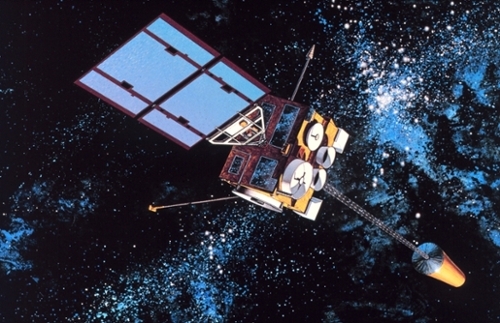 Remote sensing allows researchers to acquire information on objects or situations without physical contact. Remote sensing instruments include ground-penetrating radar, unmanned aerial vehicles, and satellites. These devices can accumulate large data sets in a short period of time, Hayden notes. As with many small colleges, historically black colleges & universities (HBCUs) often lack this computing ability, so the NSF EAGER grant will go a long way toward training ECSU students to interact with the larger scientific community. The NSF award has already had a broad impact. Five students have used the cloud computing enhancements and have passed the enhanced remote sensing course. ECSU’s future plan for the NSF grant involves creating a fully functioning remote sensing and cyberinfrastructure workforce development training facility. Immediate future plans, Hayden notes, include a cloud computing workshop at ECSU for ADMI faculty and graduate students from June 10-12th at the Center of Excellence in Remote Sensing Education and Research on the ECSU campus. Indiana University faculty will assist with the instruction, and participants will focus their efforts on revamping their existing courses to include cloud computing resources. These opportunities will help level the playing field for ECSU computer science students, a prospect that excites Hayden. The NSF investment in science and computation isn’t always about building bigger, faster, shinier machines. Democratizing access to these HPC resources is just as important. With the EAGER grant, ECSU and students from ADMI institutions get the computing access their science requires. For more on NSF support for MSIs and HBCUs, read our coverage of Jetstream and of Chameleon.